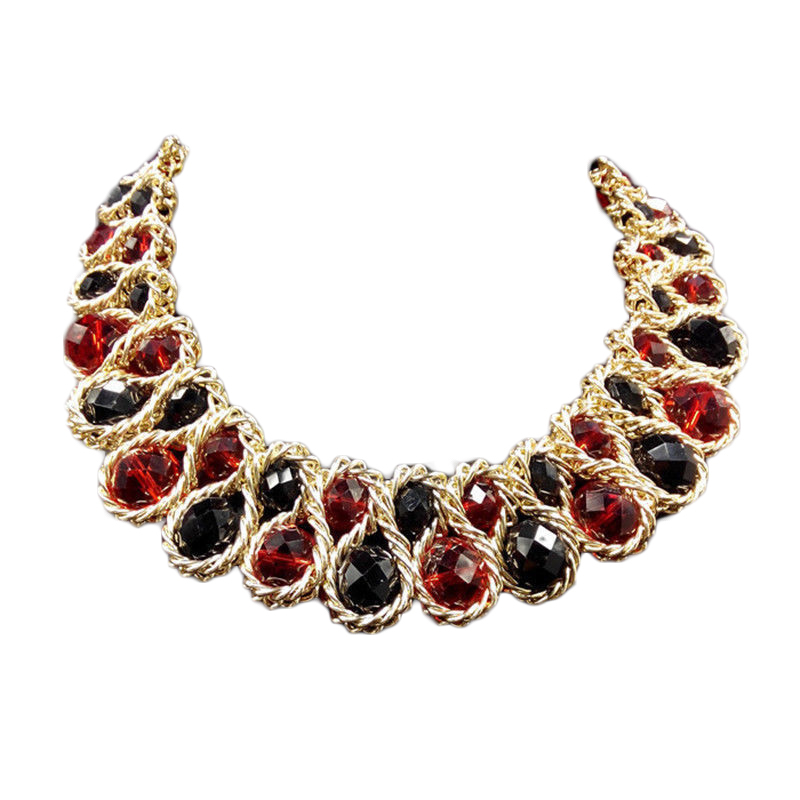 Josalynn Collar Necklace is extra luxurious with red and black faceted crystals that will let you stand out in the crowd. The gold-tone textured metal will add a hint of shine. Add this unique jewellery piece to your new outfit and watch those heads turn!